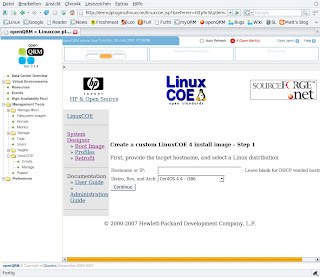 It is a really cool (open-source) tool from HP for creating iso-images which then fully automatically install your favourite linux distribution on a system. Just burn the iso, put the CD in a computer, switch it on and it automatically installs itself without any further interaction needed. 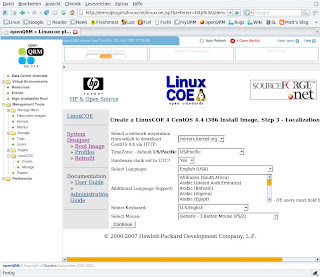 It supports a bunch of different distributions like CentOS, Debian, Fedora, openSuse, RHEL, Scientific Linux, SLES, Ubuntu etc. 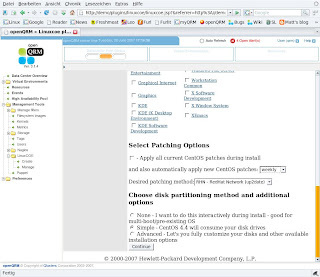 and their specific auto-installation types like kickstart, autoyast and preseed. 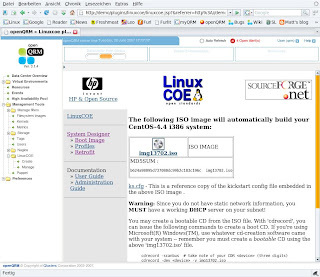 A full configured linux-installation iso-image can be created with just a few mouse clicks. It even supports to save the pre-configured installations in profiles. ... :) mhmmm, indeed very useful. Thought a bit about it. 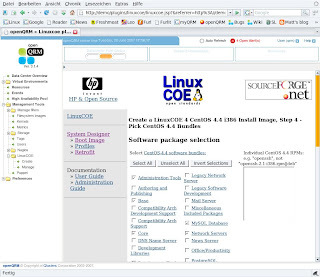 ;) but it will come soon as a new "linuxcoe-plugin". 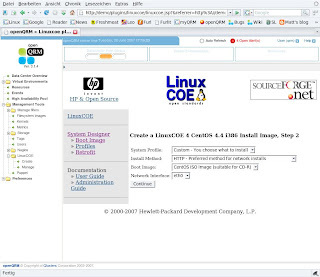 This plugin will enable the administrator to simply create a new linux installation profile from the above mentioned linux-distributions and select one or more systems in openQRM to automatically install them. 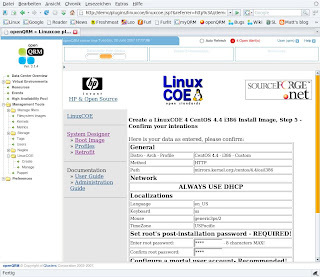 The idea is to use the auto-install configuration files, the kernel and the initrd which are created by LinuxCoe to network-boot the servers into the fully automatic installation instead of booting them via a CD burnt from the iso-image. 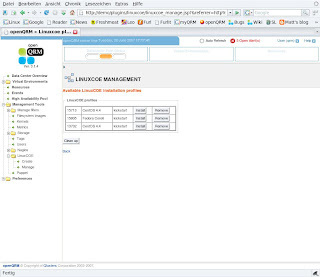 Will package it for a first release as soon as i am fully satisfied with its robustness and features. The idea is to use the auto-install configuration files, good.